Catfish farming in the Nigeria is one of the most profitable agribusiness in the country and if you have thought on going into this business you are on the right track. According to research over 70 per cent of Nigerians consume fish on a daily basis and this makes the demand for fish constantly high. Catfish is one of the most commonly eaten fish in Hotels, Restaurants, Bars, Joints and Spots, there is no Joint, Spots or Hotel in Nigeria that you won’t find Catfish as part of their menu, it can be prepared and sold as fish pepper soup or grilled and peppered, it is one of the major Nigeria dish and yet from recent studies, Catfish farming, production, distribution and marketing are lower than its demand. On this post, you will learn the fundamental things about Catfish farming and things you should look out for when venturing into this business. Over 90 per cent of Catfish farmers that have become millionaires knew nothing about the business before they ventured into it, all they did was ask questions, and then got the Catfish Farming Business Plan and that was it, however employing someone who has an idea on how to run a Catfish farm can be beneficial but it’s also something you can learn because the truth of the matter is that it’s not a difficult thing to learn. One thing you must know is that Catfish grow very fast which is to your advantage and to set up a Catfish farm is not expensive unlike other agribusiness, Catfish farm can turn you into a millionaire within months that is if you have the right information, below are some of the basic things you need to run a successful Catfish farm in Nigeria. Fish Pond – This is one of the major aspect of fish farming, the pond construction. To construct a good fish pond you will need the expertise of a professional to help you do it because if you want the fish to grow fast and healthy the construction of the fish pond is a vital part because it determines the way water flows in and out of the pond. There are different kind of fish ponds, there are Earthen ponds, Concrete ponds, Plastic ponds. In choosing the right pond a lot of things has to be considered, for example for small scale Catfish farmers it’s advisable to use plastic pond because it’s cheap and easy to construct and can house a lot of fish as well. So it depends on the scale of business you are aiming at and that is why we have a well written Catfish farming Feasibility Study/Business Plan to help you with your projections. Water Supply – This is a very important aspect of fish farming, bore hole is mostly preferred source of water because water must be available for the fish to survive. Overhead tanks for holding water are also necessary and should be installed. Fingerling – One of the best ways is to get good fingerling from another specialized farm and be sure of the quality of the fingerling you buy because healthy fingerlings will produce healthy fishes for you. Feeding the Fish – Catfish grow very fast but it depends on the type of feed you give your fishes. There are different types of fish feeds in the market, quality fish feed are expensive but it’s worth it because they are capable of growing your into giant sized within a short time. Fish require the essential nutrients like arginine, lysine and methionine for them to grow fast and healthy. It is very important to ask a professional or someone who knows how to run fish farm when to feed the fishes, how to feed them and the right feed to give theme. Our sample Catfish farming business plan in Nigeria can be used to access bank loans, proposal writing and grant applications. 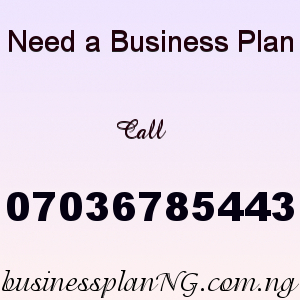 The business plan was complied after a thorough feasibility study on Catfish farming in Nigeria was done. Business Plan for Fish Farming & Feasibility Study will be sent to your email address after your payment has been confirmed. (Soft copy only).